We know purchasing a home solar system is a big decision, so we like to share our customers’ stories so you can see firsthand that buying solar panels can be extremely simple. Meet the Schultes, a family of four in Southern California, and their solar installer, Mike Papaleo of SunPower by Energy Plus. Although Kyle Schulte says he initially had some hesitance around going solar, when he met Papaleo at a children’s birthday party, he soon realized he could trust a solar professional who was part of his community. The Schultes’ new SunPower® solar system is expected to cover 100 percent of their monthly utility bill, so now they can rest easy when it comes to keeping their home air conditioned in the heat of Southern California summers. And the family is looking forward to having some extra money each month to do fun things with their kids. And, with SunPower’s energy monitoring system, the family will also be able to see how much solar energy they’re producing in real time and even how it is helping the environment by reducing their carbon footprint. They’ll also be able to see their meter actually run backwards as they produce electricity. Interested in going solar? 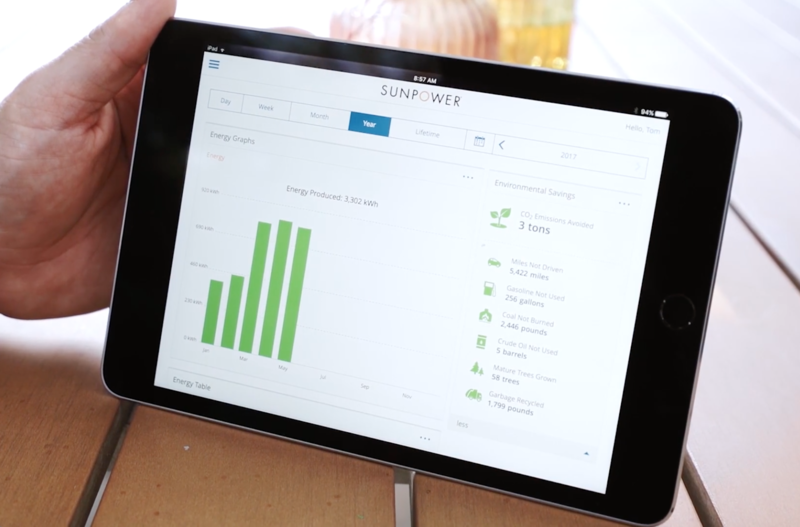 Check out our zip code solar calculator to see how much you might save.